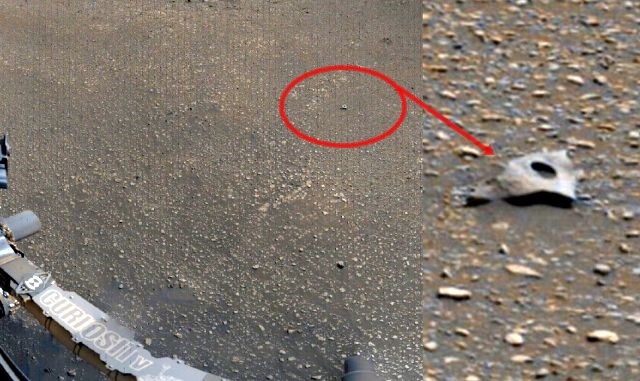 A strange piece of what looks like to be a manufactured item has been spotted on the surface of Mars. The metallic looking object which has a perfect circular hole in the middle has been spotted by Neville Thompson who posted it on his Gigapan page. 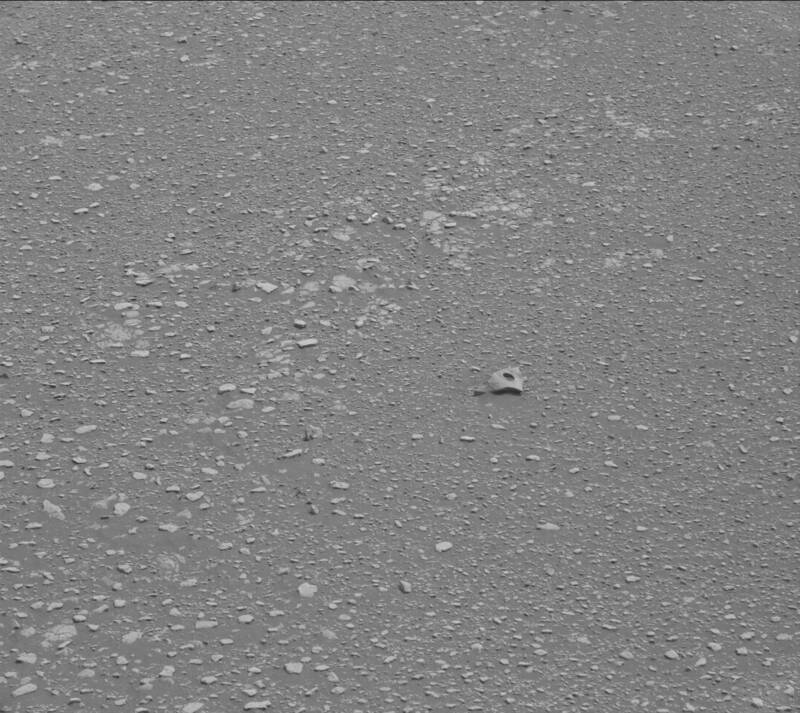 The object can also be found on SOL 2013. It's clearly not a part of the rover since there are no tracks around the object which is twisted up and almost destroyed. It is possible that the object originates from a vehicle or craft that was present at that location in the past?